What is Studio Woodworkers Australia? Studio Woodworkers Australia (SWA) is a national organisation dedicated to promoting fine woodwork and supporting professional designer makers and artists working in wood. Founded in 2011, it comprises both Accredited Members and General Members. This website provides a portal through which prospective clients can find SWA Accredited designer/makers whose work is characterised by unique designs, individuality and quality. For further information about commissioning that special piece go to ‘Directory of Makers’ and ‘How to Commission’. Studio Woodworkers Australia offers a comprehensive Directory of Members, where you can browse, select and contact professional and experienced makers directly, to buy or order their work. Some have websites showing designs that can be ordered. If you have a particular purpose in mind, you can ask a selected maker to design and make a piece specifically for you. 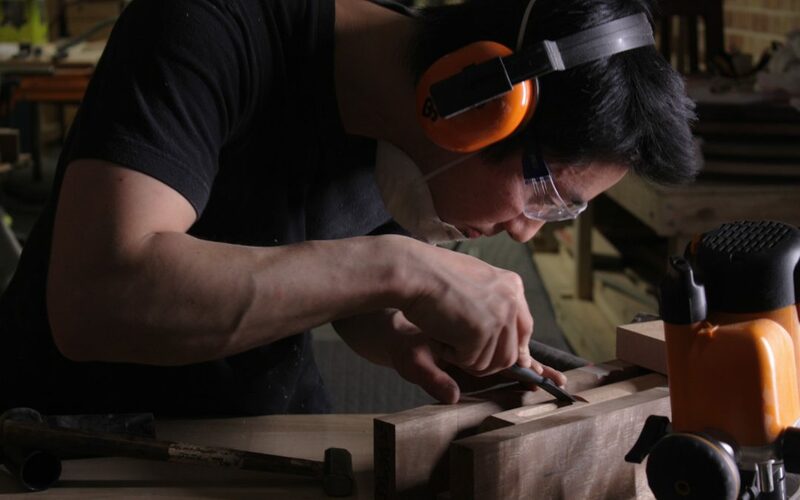 The process of Commissioning items made in wood from a skilled professional woodworker in this way offers an engaging and rewarding collaboration between you and the maker. If you are looking for a special piece of furniture or woodwork to buy, order or commission, which features excellent design, making, finishing and after-purchase service, then the Membership Directory and Gallery of SWA is the place to start your search. What does it mean to be an SWA Member? Accredited Members have been peer-assessed to the highest standards through a stringent application process. This means they can assure clients of the best quality of designing, making and service. Each is identified as an Accredited Studio Woodworker (ASW), and has a special page in the SWA Accredited Member Gallery. General Members are professional designer/makers who have not yet submitted to the accreditation process. SWA members participated in Studio Furniture 2018 at Bungendore Woodworks Gallery with two members being amongst the prize winners. Kristian Frandsen was presented with the SWA Emerging Makers Award. At the 2018 AGM the following directors were appointed; Will Matthysen (Chair), Warwick Wright (Secretary) and Darren Fry. Carol Faulkner will continue as Treasurer and Rob Walsh as General Manager. If you would like to receive news from us regarding upcoming events, important announcements and a whole lot more, please subscribe below.